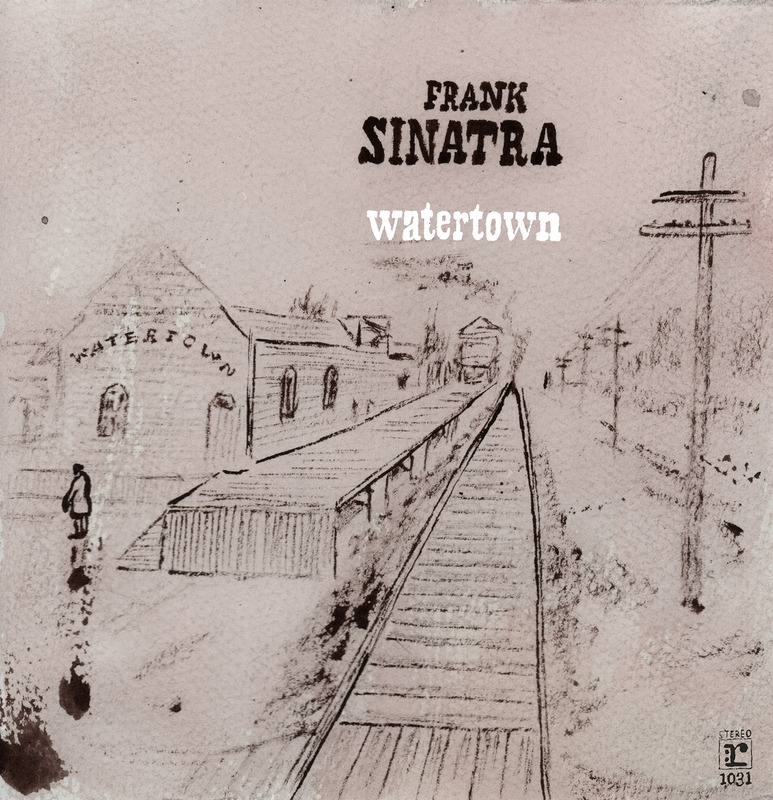 Frank Sinatra’s Watertown album was produced and co-written by Bob Gaudio in 1970. It is considered to be Sinatra’s most ambitious concept album, as well as his most difficult record, according to AllMusic.com. With co-writer Jake Holmes, Gaudio created a song cycle focusing on a middle-aged, small-town man whose wife left him with the kids. Constructed as a series of brief lyrical snapshots that read like letters or soliloquies, the culminating effect of the songs is an atmosphere of loneliness, but it is a loneliness without much hope or romance — it is the sound of a broken man. This concept album was arranged by Charles Calello. Over the last several years, Watertown has gained much attention with Sinatra aficionados and music critics. EO: Let’s talk about Watertown. When were you first approached about doing a project for Frank Sinatra? BG: It seems as though, the way it went down, my partner Frankie spent some time with Frank, and they got to be real friendly. They started talking about a project, and Frankie made the suggestion that Frank and I should meet and talk about doing something contemporary, something maybe a little different and unusual, something he hadn’t done before. So we did that. I was out in Vegas for a couple of weeks and went to see all of Frank’s shows. We hung out, but it was about a year or year and a half before the writing and recording. It had to be about mid-’68. On FrankTruthNobie.com, you can listen to a great 2009 podcast about Watertown, in addition to an interview with Charles Calello. Click HERE for check it out. I started hearing more and more about this album and it really interested me. I searched and found a copy on eBay and let me tell you! It is great! Everything about it is just too much, the voice the songs it is just a great undiscovered treasure. One day this album will be discovered and go down as one of the best and right along with genuine imitation life gazette.